The Bioethics Symposium at IMBA will discuss the main challenges arising from recent advancements in life sciences. New technologies like stem cell research, organoids and genome editing have raised enormous expectations within the biomedical research community, patients and the general public. At the same time many ethical questions have emerged and need to be discussed in an open dialogue. 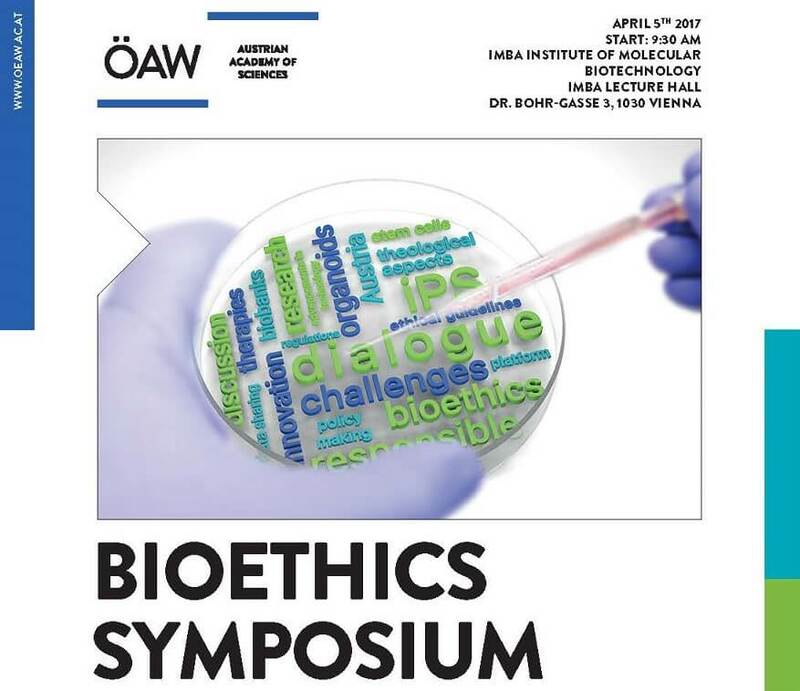 The Bioethics Symposium will be held at IMBA and addresses the scientific community, opinion leaders from diverse fields, and the interested public. Its aim is to foster a dialogue on ethical up-to-date issues like data sharing, biobanking, genome editing, stem cell and organoid research and raise awareness for responsible research. The goal is to bridge biotechnological research and relevant ethical aspects as well as to encourage an interdisciplinary dialogue, and to highlight best practice examples.